Why Giving Too Much To An Ex Is A Bad Idea ! 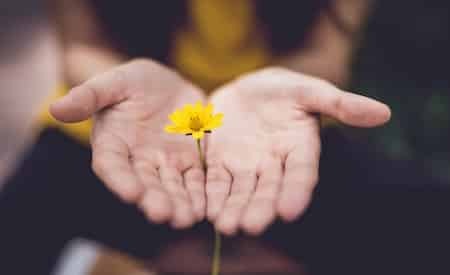 From a very early age, we’ve been taught that we have to give everything we have and put others first if we want to receive the love we so desire. While it’s true that we need to learn how to give love in order to receive love, we aren’t taught balance. Many people end up giving way too much, thinking that it’s the key to getting love from their significant other, and they’re left dumbfounded when the opposite happens. So what can you do to bring more balance into your relationship with your ex, and more specifically, what needs to change in order for you to get them back once and for all? You’ve come to the right place because in this article, you’re going to find the answers to why things are the way they are right now, and how to turn things back around. People often make the mistake of thinking that they need to take all the blame, or make all the efforts if they want to earn another chance at being their ex’s partner. Well, I am here to tell you that it doesn’t work like that. If you want your ex to think about you all the time, to miss you, to want you, and if you want to re-seduce your ex and make him or her fall for you, you’re actually going to have to STOP giving so much to him or her! You see, human beings have a terrible tendency to take things for granted. When something is handed to us on a silver platter, we don’t cherish it or work hard to keep it. But when we had to work hard to earn something we cherish it. At this point, unfortunately it is very easy for your ex to take you for granted because you’ve been handing everything to them on a silver platter. If you want someone back, you’re going to have to go into seduction mode, but not before you make it clear that you are not at his or her beck and call anymore. A lot of people confuse giving too much with caring too much in a relationship, when in reality that’s not what this is about. I’d like for you to imagine yourself as a glass of water. That glass of water should be full; you should feel complete. You’ve got to make sure that you are actively working on making yourself feel happy and confident, and that you are feeling complete. I will go over the best ways to do this in a moment, but when that glass of water starts to get depleted because you’re giving so much away, there’s a problem. How to hypnotize my ex thanks to the power of persuasion! That glass should always remain full, and whatever spills over the rim is what should be given to others if you want to maintain a healthy balance in your life. Men and women who give too much end up getting hurt and feeling drained because they aren’t getting anything in return. If you want your ex back, you don’t want to make it easy for them to take you for granted. So how do you do that? Well, I’m glad you asked! If your goal is to be with this person again, you’re going to have to create a new balance and get out of bad habits. I know that up until now you’ve probably gotten used to giving and giving and giving to this person, but you’re going to have to start becoming selfish. I am aware of the fact that that might have a negative connotation, but trust me, learning how to be selfish to improve your quality of life AND improve the quality of relationships is crucial. It will enable you to develop a healthy element of give and take where you both fulfill one another. You can’t be the only one who is making an effort to make the other person happy. What you give away should be replenished by your partner, and sometimes being too generous makes it hard for this balance to exist. Human beings also have a nasty habit of seeing how much they can get away with. If you give an inch, they’ll take a foot, so you have to be careful with how much you tolerate. Remember that you’re teaching people how to treat you. My point is that if you make it easy for someone to take you for granted, that’s exactly what they’re going to do: take you for granted. That is why you’re going to have to retrain your ex to see you in a new light. You are more in control of the situation than you might realize. The fact that you’ve been overly generous with your ex up until now means that it will be quite easy for you to give him or her an electroshock, which is exactly what they need to experience if you want to turn things around. So first things first, when you want an ex back, instead of giving too much of yourself to someone who is not reciprocating, I invite you to use one of the most powerful tools used for getting back together with an ex partner: The no contact rule. The goal of this technique is to give your ex an electroshock while giving you the opportunity to work on yourself. 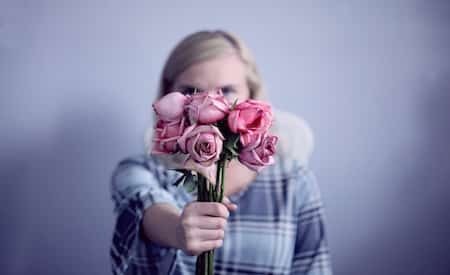 After a breakup, It’s normal that your self esteem would take a hit, and if you’ve been giving too much to your ex, it means that you haven’t been taking enough care of yourself. If you are unfamiliar with the no contact rule, I encourage you to click this link. You cut communication with him or her for a certain amount of time, and suddenly they’re going to realize that you’re not at their beck and call anymore. They’re going to start to realize that maybe they took you for granted and should have acted differently when you were still around. Human nature is interesting; when something is abruptly taken away from us, we immediately want it back. If your ex suddenly realizes that you’re not around anymore like you always were, they will start to develop an urge to reach out to you. They’ll be pining for your attention again, and they’ll begin to miss the validation they felt when you did everything they wanted you to do. You’re now turning the tables and making him or her think about you more, and eventually begin to miss you. While you do this, it’s crucial that you work hard to improve your life and become a new and improved version of yourself. This is the key for making this technique work. You might have gotten used to doing too much in a relationship, but that doesn’t mean that you can’t change that now. Besides, filling up your schedule with people and activities that bring you joy is going to help you fight the temptation to break no contact. If you want your ex to appreciate you more, you have to appreciate yourself more. Think about what you can do to improve your quality of life. More physical exercise? More time spent with your friends and family members that make you happy? Going out and checking out new places more? Making more friends? Now is the time to step out of your comfort zone and start making positive changes. Put yourself first now, because you and I both know that you deserve real love and someone that is going to give you as much as you give them. Don’t allow for there to be an imbalance in your life anymore! You’re in control, and you can turn things back around, one step at a time. I know that these periods are very challenging, so if you’d like one on one guidance and a custom action plan, all you have to do is reach out to one of us right here.